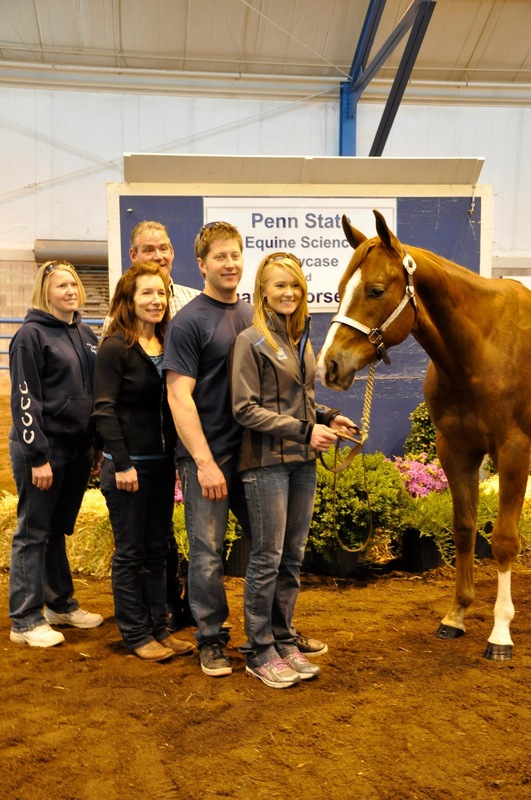 PSU Krymsun In Blue was the high seller at the Penn State Quarter Horse sale on April 27. Emily Smetanick Fennell bought the 2-year-old gelding for $5,500. “We are so excited about him! We certainly weren’t planning on being high bidder, but he’s definitely worth it — what a sweet guy!” said Fennell, who also said the showring would be in the gelding’s future. 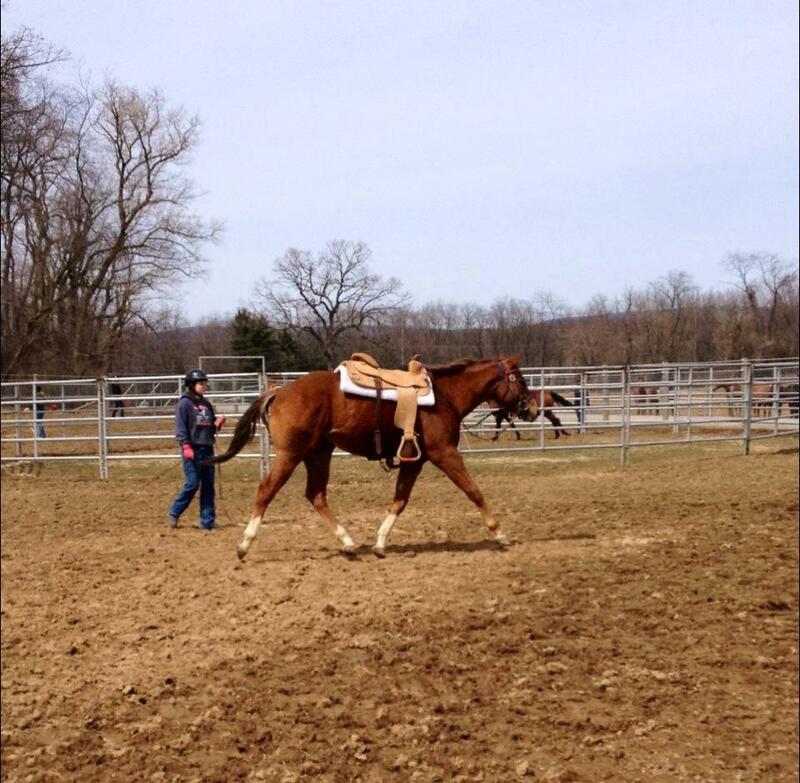 The 15.3 hand sorrel gelding is by PSU Dynamic Krymsun and by MLF Rhapsody In Blue, a daughter of Sky’s Blue Boy. Last year, Rhapsody In Blue’s 2010 foal, PSU Shaded in Blue, by Image of Shadow, sold for $3,600.